One of the oldest film festivals of its ilk, the Wicked Queer Boston LGBT Film Festival has two more days of fantastic offerings for you, and today’s lineup includes a New England premiere and an encore of one of the most popular films at both Wicked Queer AND the Boston Underground Film Festival, where it also screened..
And as usual, because closing day is on a Sunday, and Saturday is more of a party night (YEAH BABY! ), the Closing Night Party is also tonight, beginning at 9 PM at Serafina, 10 High Street, in Downtown Boston. A donation of $5 is requested for admission and the party has complimentary bites as well as a cash bar. Entertainment will be provided by DJ Math3ca. Tomorrow is the official closing day, and your last chance to take in this awesome film festival. Remember, featured films on any given day can and DO sell out, so the earlier you snag tickets, the better off you’ll be! 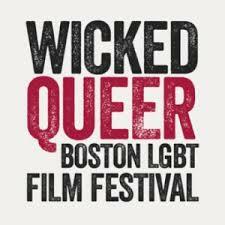 For complete information on the festival and it’s upcoming offerings, be sure to visit the official website at http://wickedqueer.org. We love this festival; Wicked Queer always finds the best programming possible!